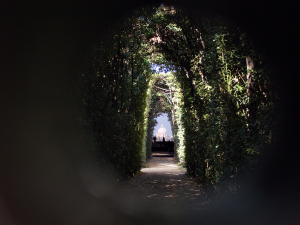 Throughout the year, tourists plod through the streets of Rome, checking historic sites off their lists, unknowingly missing one of the most unique and mysterious spots, the Knights of Malta keyhole. 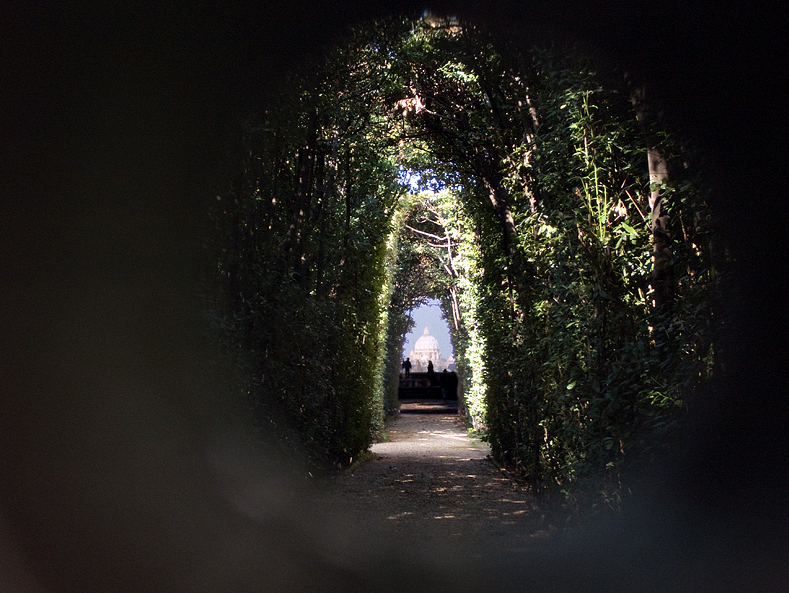 The keyhole, one of the ancient city’s best-kept secrets, lies hidden on the Aventine Hill, between the Circus Maximus and the Pyramid of Cestius. Though its name may be unfamiliar, it’s one of the must-see spots for any Rome explorers. At the top of the hill is the Piazza dei Cavalieri di Malta, designed by Piranesi in 1765, and it is here that the headquarters of the smallest sovereign entity in the world is located. Surprisingly enough, it’s not the Vatican, but rather the Sovereign Military Order of Malta. Founded in Jerusalem in about 1048 it still functions to this day as a religious military order, it even retains permanent observer status at the United Nations, and it is at this very spot where one may take a peek through a keyhole at what can be considered one of the most spectacular views in the entire city. 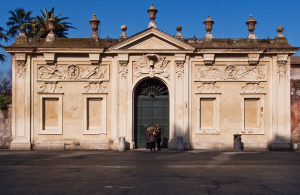 Be it your first time to the Eternal City, or your hundredth, day or night, take some time out of your trip for a glance into this little treasure of Rome.